This article is my sharing for my DATE : "DATE Pavilion 2" on Wednesday 17 June 2015. DATE is cell community in my church: JPCC. By the way, I have finished this sharing few days ago because I saw a wrong schedule. I thought that I have to share this on last Wednesday. It's okay, I have more time to perfect this sharing and share them with you guys first. Thank you Jesus. It is a mixed combination of my experience, pastor’s sermon and daily bread. If you spend your day thinking about the negative things around you and things you can complain about, you will develop a pessimistic personality. If you want to change the way you perceive things, then you'll have to change the way you think. When some things go wrong, take a moment to be thankful for the many more things that are still going right. If you want to develop a grateful heart, then you'll need to meditate and think about the good things God has blessed you with. Even if it seems you have nothing to be grateful for, you have been blessed because of what Jesus has done for YOU! Healing, prosperity, joy, peace, and deliverance are all parts of what Jesus has done for YOU! By being grateful: It is release our negative thinking and start to realize that not everything should works according to our plan but everything should work according to God’s plan. By being grateful: we will become a better person! Everybody wants to be a better person right? So, why do we want to become better person? 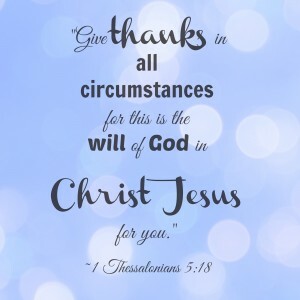 The holy reason: Because, we are grateful for what God did for us in Jesus Christ. A deeper reason though is that we are made in the image of God. The human reason: Because, we want more happiness. The more grateful you are, the happier you are. Every conflict that you go through in a relationship has an element of pride mixed into it. What is the middle letter of the word “pride”? I.
What’s the middle letter of the word “crime”? I.
What’s the middle letter of the word “sin”? 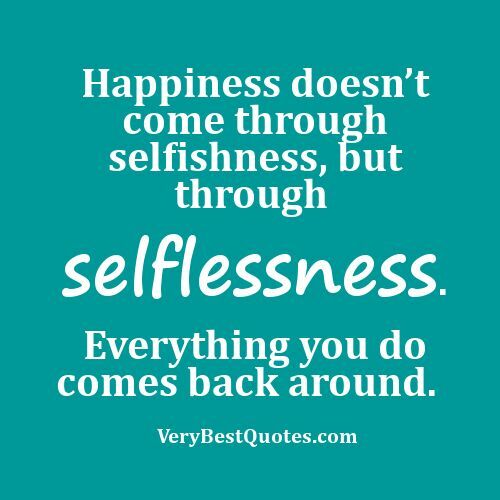 I.
Selfish ambition causes all kinds of problems. When you find confusion at your workplace, your church, your home, in your relationship, and even in the government, you can know that selfish ambition and jealousy are causing it. Vain conceit is the attitude that you are always right. We do this in every area of our lives, but especially on social media. It’s a great temptation to make yourself look better on the Internet than you are. If you want to be happy in your life, you've got to have harmony. And if you’re going to have harmony, you’ve got to have humility. Never let pride be your guide. When you stay focused on your purpose, not your problem, you can be happy even when life seems to be falling apart. Focus on the big picture, not the small problems. Don’t get bogged down in the trees and miss the forest. You cannot control what other people do to you. You cannot control what other people do around you. But you can control how you respond. Respond based on your control according to your purpose of life. Knowing your purpose focuses your life. It concentrates you effort and energy on what’s important. You become effective by being selective. It’s human nature to get distracted by minor issues. Without a clear purpose, you will keep changing direction, jobs, relationships, churches, or other externals hoping each change will settle the confusion or fill the emptiness in your heart. You think, maybe this time it will be different, but it doesn’t solve your real problem. The power of focusing can be seen in light. Diffused light has little power or impact, but you can concentrate its energy by focusing it. With a magnifying glass, the rays of the sun can be focused to set grass or paper on fire. When light is focused even more as a laser beam, it can cut through steel. There is nothing quite as potent as a focused life, one lived on purpose. The men and women who have made the greatest difference in history were the most focused. For instance, the apostle Paul almost single-handedly spread Christianity throughout the Roman Empire. His secret was a focused life. He said, “I am focusing all my energies on this one thing: Forgetting the past and looking forward to what lies ahead” (Philippians 3:13, New Living Translation). Paul said, “Let’s keep focused on that goal, those of us who want everything God has for us” (Philippians 3:15, The Message). When we realize that each of us is unique and our focus Is God it is much easier for us to be selfless. Don’t worry and let God help us at the “less” things. When you know what you’re shaped to be, then you know what you ought to be, and you can start focusing on that and make better use of your life. Romans 5:15 says, “For the sin of this one man, Adam, brought death to many. But even greater is God’s wonderful grace and his gift of forgiveness to many through this other man, Jesus Christ” (NLT). The first thing Jesus did was wipe out everything you’ve ever done wrong. It’s forgiven! There is no condemnation. God has long-range plans for you. The Bible says in Romans 6:23, “The wages of sin is death, but the gift of God is eternal life in Christ Jesus our Lord” (NIV). You’re never going to work your way or earn your way into Heaven. The only way you’ll ever get into Heaven is by God’s free gift that you accept by faith. How do you know when you’re letting God live through your life? When you embody the fruit of the Spirit: love, joy, peace, patience, kindness, goodness, faithfulness, gentleness, and self-control. In the Bible, these special abilities are called spiritual gifts. These are different from material or physical gifts. They are the abilities you need to get the job done that God wants you to do. Most people who are believers don’t even know they’ve got them, much less what they are. But you have them! What is a spiritual gift? God has a purpose for your life, and your spiritual gifts are the equipment he gives you to do what he asks you to do. God will never ask you to do something he doesn’t give you the ability to do. It’s given to you the moment you accept Christ. You don’t get to choose your gift. You don’t earn your gift.